How often does your “Me Monster” take over? When was the last time you stayed quiet without forming an opinion? What if next time you are with your spouse, friends, or at a dinner party, you choose to listen unless a question is specifically directed your way? What if you were able to breath in and pause before trying to claim the floor? It’s something to try out this week. 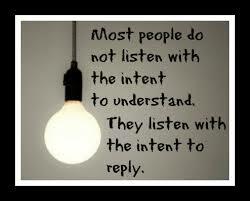 The art of putting yourself aside and completely hearing what someone is saying to you. Letting go of having to jump in without having your viewpoint enter in to the conversation. 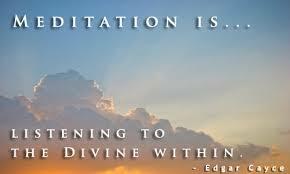 The more you practice listening the more you begin to hear the finer things of our world, like your intuition or the whispering of the Universe. Gratitude, by now most of us have heard of it’s amazing powers, how focusing on gratitude can change our lives for the better. It’s time to take a deeper look – making lists of gratitude is great but lets be careful that’s not all we are doing. I am grateful for my fuzzy socks, pizza and a cool night breeze. Fantastic, me too but the question is, are you feeling it or are you just reeling it off because you have to do 10 a night, or you’ve made a public commitment and have to keep going? Only you can answer this for yourself, no judgement, just an honest answer that gratitude deserves. Feeling is the key. Are you awed by what you have? Are you moved by the beauty that surrounds you? Do you shed tears by all you are thankful for? Feeling gratitude is energy, emotion is energy. These are the main elements that shape our lives. 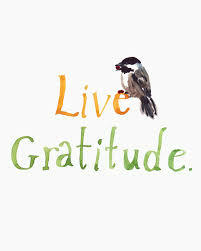 When you use the amazing power of gratitude correctly it keeps your focus on all that is going well. When you feel this everyday it helps to keep the negatives at bay, it can ease the hard times and bring more of the good. A deeper look at gratitude. This week, focus your Gratitude on only one subject and give it the energy and feeling it deserves. Take something you may not be happy with at the moment. For example, if you are unhappy with your job, all week long look for things to be grateful for. Notice the good you may have overlooked, realize what the job brings to your family or your lifestyle, focus on all the wonderful coworkers that support you. Instead of complaining about your job on your way to work remember back how happy you were to get it and let this feeling soak in. Have a wonderful week, I am truly grateful and honored by all who read my blog. 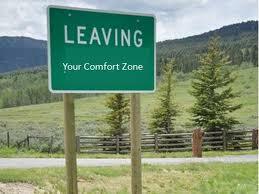 Ah, the comfort zone, a wonderful relaxing place to be, all is safe, all is easy, and all is the same. 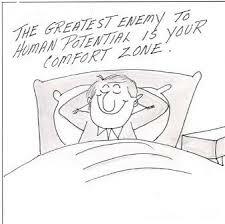 The comfort zone, I mean who wouldn’t want it? It seems great, that is until you actually want to accomplish something in your life. Time usually brings us to a point when we want to spread our wings, follow our dreams, and bring our ideas to fruition. When this occurs a weird, uneasy, stirring usually happens, it is what most people get uncomfortable with… change. Change is outside our comfort zone. It’s new, it’s often scary and it sometimes asks us to take a leap of faith. We usually hate stepping away from the familiar but deep down inside we know that is what is needed to accomplish our goals and dreams. It’s time to move forward, get brave, and move away from becoming squishy. Yes, you heard correctly, squishy! That is what our little zone of repose can be. Time to get some guts, if it doesn’t happen now when will it? Since this is a blog about small changes, I’m not going to ask you to take a crazy leap of faith, no, I’m going to ask that you simply take a small little hop. It doesn’t have to be life altering but it does have to make you feel a bit awkward. It is by changing our perceptions we open our minds. It is by changing routine and daily habits that make room for creative and new ideas. It is by being flexible we make way to see the world in a different light. * If you wear jeans all the time dress up for the day, even if it’s just to the bank and around the house. If you dress nice all the time throw on a pair of faded jeans and a sweatshirt. *Buy gifts for all of your co-workers even if you think you’ll “get it wrong” trust yourself, they’ll be so happy. *Go to the movies, concert, a museum and go alone. *Ask someone different to have lunch with you, someone other than your “regular” crowd. *If there is someone you have been wanting to get to know better ask them out for a cup of coffee. I can’t quite tell you how it works, except that it does. What in the world is pink light? Well the obvious is that it is just what it seems; a light, pink in color, but the not so obvious is the power that it holds. Long ago someone told me the about the magic of sending out pink light towards anyone I was angry with or out into the environment if it was tense and I’ve never stopped using it since. I remember trying it out with my assistant. We were on our way home from Costa Rica after giving a ManifestingMe seminar (www.manifestingme.com) standing in line for what seemed to be forever to board the plane. The man in front of us was hot, and I don’t mean in the, I can’t take my eyes off him type of hot, I mean, he was furious. He felt of all people it was unfair that he should be in this line, taking up his time, didn’t “they” know that? He was cursing up a storm and making sure everyone in the entire airport could hear his anger. Well, we certainly were not going to let his mood damper our amazing time so I said, “lets pink light him!” and so we did. We closed our eyes and thought of a pink light coming out of our heart region and flowing directly toward this man. We envisioned a beautiful calming, loving pink light completely surrounding him. Then we opened our eyes. I am not kidding when I say in the next minute this women walks up to him and asks “aren’t you the owner of that tackle company?” And from there the two of them talked and laughed the rest of the long wait. Coincidence? Maybe, but then after the 20th time of trying this out in all kinds of situations and seeing amazing positive results, I began to realize… this stuff works! Since teaching this at my seminars I have had all kinds of pink light stories, like the women who was going to fire an employee but after doing pink light he has and still is one of her top workers to date. I have stories of people who did not get along with a co-worker and after doing pink light have actually became close friends. I even had someone tell me they sent pink light to their childhood home town and when they went back to visit they swore it was a more pleasant experience. To some of you this may seem crazy, to others it may already be a part of your “how to handle stress” toolbox, either way give it a try this entire week. 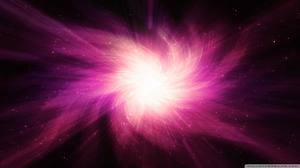 Close your eyes and take a few deep calming breaths, in your minds eye see pink light coming from your heart region. Visualize this light being sent to the person or situation that is stressful. 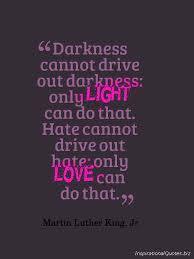 Concentrate on surrounding that person or situation till pink light completely engulfs them. Basically you are sending out a loving feeling. Do this for a few minutes then open your eyes. *Before a business meeting fill the room with pink light and send light to each person who will be there.